Swarms of the Desert Locust can grow to several hundred square kilometres in size. The 40 to 80 million adult locusts in each square kilometre of the swarm can eat up the same amount of food in one day as roughly 35 000 people. Combined with its ability to migrate over large distances, this makes the Desert Locust a threat to food security in many countries in and around the Sahara and the deserts of the Middle East and South-West Asia. To help monitor and control the locusts, the United Nations Food and Agriculture Organization (FAO) operates a central information service, called Locust Watch, and gives out timely warnings, forecasts, training and support to the staff of locust control centres in the affected countries. 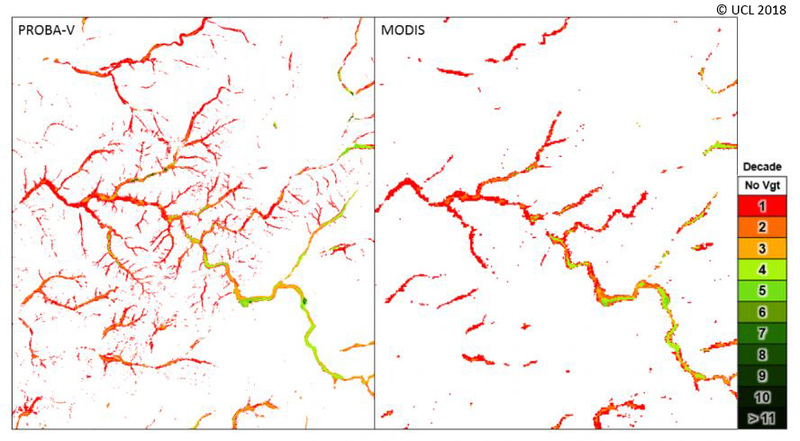 In a pilot on the MEP platform and supporting FAO’s efforts, UCL extended an algorithm used to produce dynamic greenness maps to use PROBA-V 100 m input data instead of MODIS. These maps highlight areas in need of locust surveying. Click here to discover more on how PROBA-V MEP allowed UCL to apply the processing chain on PROBA-V 100 m time series and provide Dynamic Greenness Maps at a much finer scale to FAO.